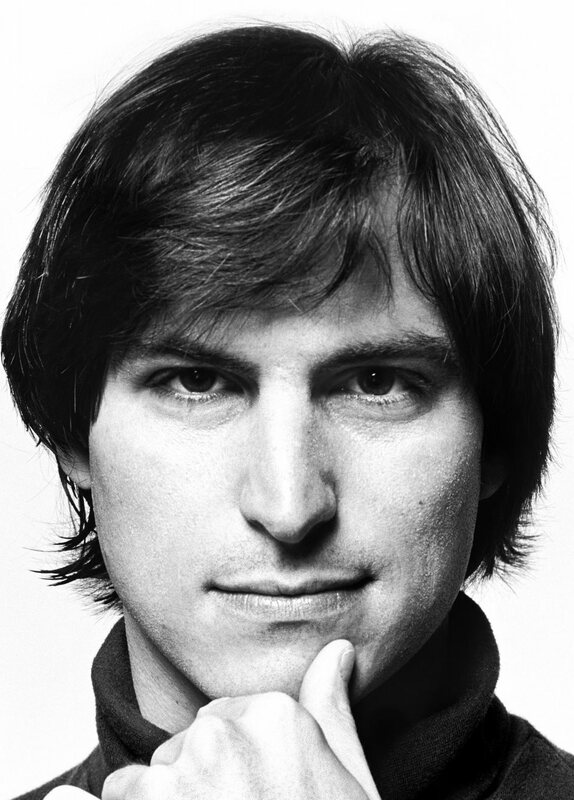 A couple of years ago, shortly after Steve Jobs’ passing, I came upon his biography written by Walter Isaacson (the book was flying off the shelves at the time). That period for me was a period of obsessive fascination with Michael Jackson, and I was seeing the whole world in the light of his fate and personality. So while reading the biography of Steve Jobs, I couldn’t help but note parallels between these two outstanding figures of the late 20th century. Plus, I was always interested in geniuses and the nature of genius, so I jumped at the opportunity to compare the two personalities, and to deduce a «formula» of genius, so to speak. Although both Michael and Steve became fabulously rich in their youth, they never saw the purpose of life in money and personal well-being. Steve Jobs had a competitive interest in building successful businesses, but the goal was never in personal profits. After leaving Apple in the 80s, he sold all his shares, and later, when he decided to return, he wasn’t agreeing to become the CEO and was for a few years working as a consultant for an annual fee of $1. He did not build palaces for himself and did not enjoy lavish sprees at expensive resorts – he had no time for any of it. He also did not gather focus groups or conduct market researches because he didn’t care about the financial justification of ideas. He believed that if you make a cool product, people will buy it. Similarly, Michael gave away profits from entire world tours to charity – from tours that were physically exhausting for him. But his concerts were always fantastic because the quality was measured not in money, but in satisfaction of the public. This also explains their unpretentiousness in private life. While making use of creature comforts, they did not worship them. Jobs lived in an almost unfurnished house and liked to walk barefoot. Michael often slept on a plain mattress on the floor or in a sleeping bag. Any product of talent, even one conceived by a genius, is eventually a product of the team work. So it is not enough to want to change the world – you have to know how to inspire this desire in others. 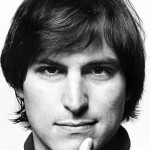 Jobs was an incredibly charismatic person who could convince people around him in possibility of the impossible. His colleagues joked that he had a “reality distortion field” – people who happened to be around him got imbued with his vision and lost the ability to see things clearly. Michael similarly inspired people with his ideas. Just listen to his colleagues and fellow dancers from “This Is It,” read their memoirs – they all worked enthusiastically day and night, inventing new things, being creative, because everybody had a feeling that they were making history. It’s impossible to produce anything really cool unless you are a perfectionist who spends loads of time on every minor thing and drives others up the wall by picking on details. Because if you don’t care about the quality of your product, the consumer will immediately see it. Jobs was hysterical when the computer was assembled with a wrong disk drive – with one extra button. Jackson cried when the album wasn’t sounding as envisioned, and made his engineers remix everything from scratch. Jobs blew release dates by introducing endless improvements into his product; Jackson recorded twenty takes of a vocal part, although oftentimes the final mix ended up containing the first take. Nobody was allowed to see the unfinished product. The public was supposed to get no less than perfection. And they set equally high standards for all around. Michael was extremely courteous and polite explaining to the best producer in the industry that none of his 20 songs are good enough; Steve wasn’t shy to tell people that they had made crap, but essentially, each with their own methods, be it a whip or a carrot, they knew how to bring the most out of people. 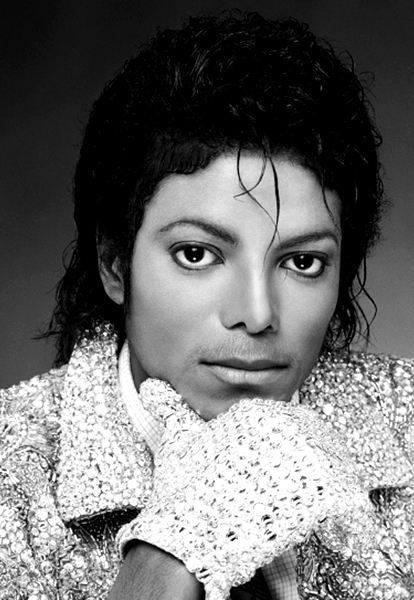 “He taught us to do everything the best way possible: Michael was a perfectionist and we had to start from scratch to produce music the best possible way,” said colleagues about Jackson. “His strength, integrity and love of life has made us all better people,” wrote colleagues from Pixar about Jobs. With all this perfectionism, endless examination of options, and tireless search, both, however, understood the value of ultimate simplicity and minimalism. Upon returning to Apple, the first thing Steve did was abolish the long product line and leave only four models. Each of them had to have the simplest interface possible. He relieved the consumer of the burden of choice and the burden of having to learn unnecessary features. “Steve Jobs has designed a powerful computer that an illiterate six-year-old can use without instruction,” a Forbes editor wrote. “If that isn’t magical, I don’t know what is.” Melodies must be simple, Michael Jackson used to say about his craft. A great melody is the one that any child can sing. In spacious halls of the Apple Store only four laptop models sit on the tables, but the choice out of four is much more pleasant than out of 44. 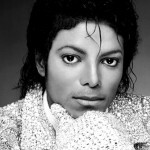 Jackson released 7 albums in 30 years, but every song in them was perfect. Each product from Apple’s short list is ideal for the user. Each of Michael’s seven albums is precious. And that is why the announcement of a new Apple product, just as the announcement of a new Michael Jackson album, was always a big event. Only at first glance it seems that great ideas are born out of thin air. In fact, nothing appears on itself — the human brain works in such a way that it can only synthesize novelty from observation of life, culture, and previous experience. To be a genius is to know how to apply this experience to people’s benefit and great effect. Many have accused Jobs that he stole the GUI from Xerox. He did not steal it; he took advantage of the preceding groundwork. He got inspired by the idea, examined it thoroughly, improved it and perfected it as Xerox couldn’t have. Jackson also did not invent the moonwalk — like many of his movements, he spotted it from other dancers and made it his own. He adopted dancing elements from his idols — James Brown and Fred Astaire, he borrowed movements even from fighter Bruce Lee and a computer dinosaur from «Jurassic Park.» In other words, he had a valuable skill to notice interesting things in the surrounding environment, dissect them and reuse them in his field. This quality, that few outsiders could understand, allowed them both to come up with things that simply did not occur to regular people. And, perhaps, because of this same quality they both had a little childlike sense of humor. When Jobs came up to Isaacson with a proposal to take up his biography since Isaacson had written about Einstein, it might have seemed a bit arrogant. But Steve was right – after his death, the book became a bestseller, and now we have a fascinating life story of one of the geniuses of the 20th century. When Michael Jackson erected statues to himself across Europe, critics might have resented his outrageous conceit; however, as a result, those statues are remembered by everyone. And his meticulously collected video archives are of great value today. Contemporaries are hardly capable of recognizing true brilliance on their own, so sometimes it is necessary to explain to them who’s the genius. The recipe is simple: if you want to go down in history — inscribe yourself in it. Michael and Steve were almost peers, and it is noteworthy that in many respects they had the same idols: Disney, Edison, Chaplin, Gandhi, and Martin Luther King — people in whom they saw similar innovators capable of a qualitative leap. This is what Apple’s advertising “Think Different” is about, which is why it suits both Michael and Steve so well. Very interesting !!! You are great ! Wow very good article I agree with what you said. Great article on great men. I have images of both on my desk.